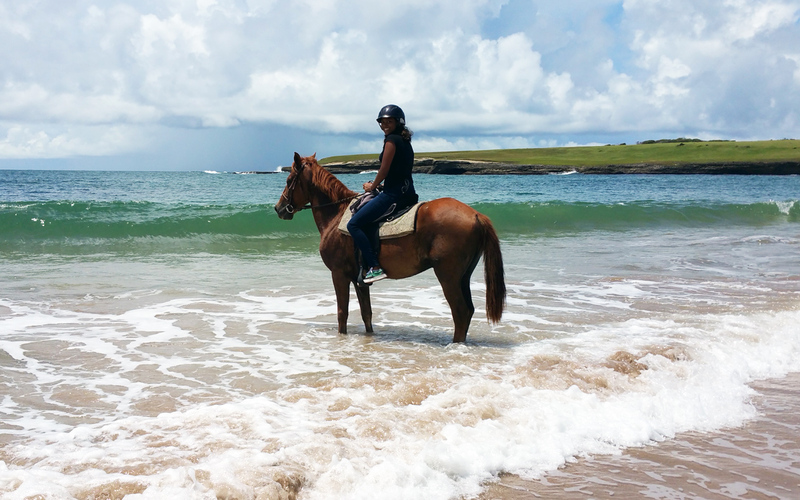 Atlantic Shores Riding Stables promises an unforgettable horseback adventure for beginners and experienced riders. 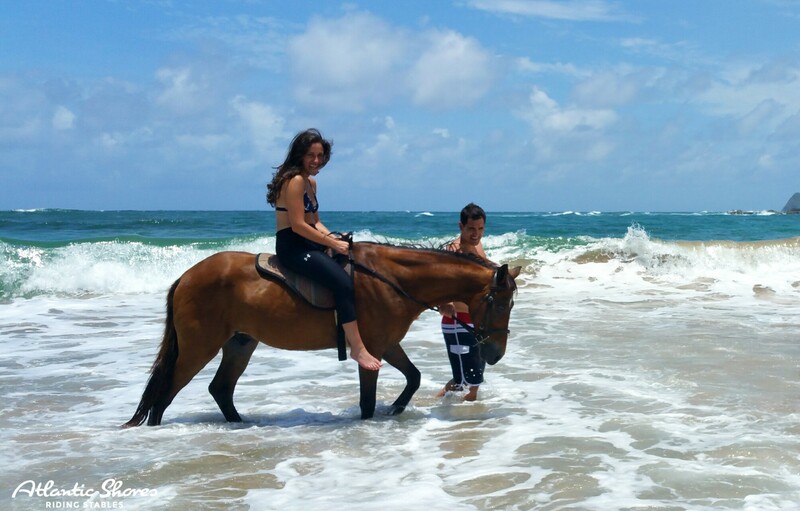 Our popular beach ride will take you along gorgeous trails and breathtaking vistas before heading to the beach where you will enjoy the freedom of walking or cantering your beautiful horse. If you are looking for a serene atmosphere to enjoy a private horseback tour with your family or loved one then please give us a call. We are affordably priced and we are confident our guests will love every minute spent with us in the saddle. Atlantic Shores Riding Stables remain committed to providing an atmosphere that is safe,fun and enjoyable for your family. 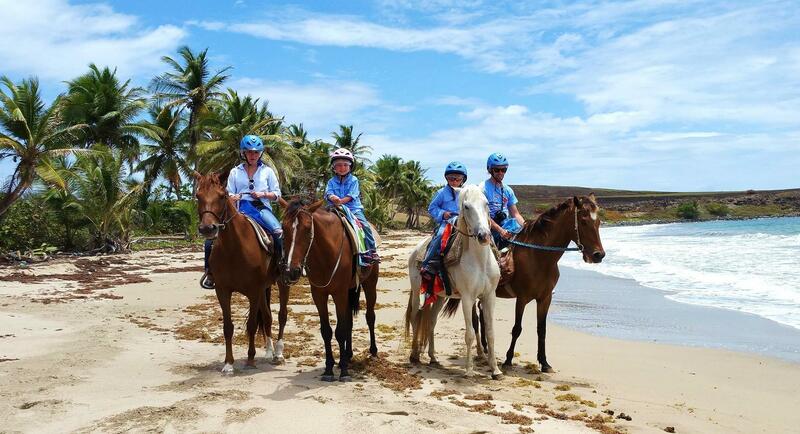 Our friendly staff and beautiful horses are waiting to show you an amazing time in St.Lucia. We have packaged our tours to be affordable and fun. Our prices are competitive without compromising the quality of our service. 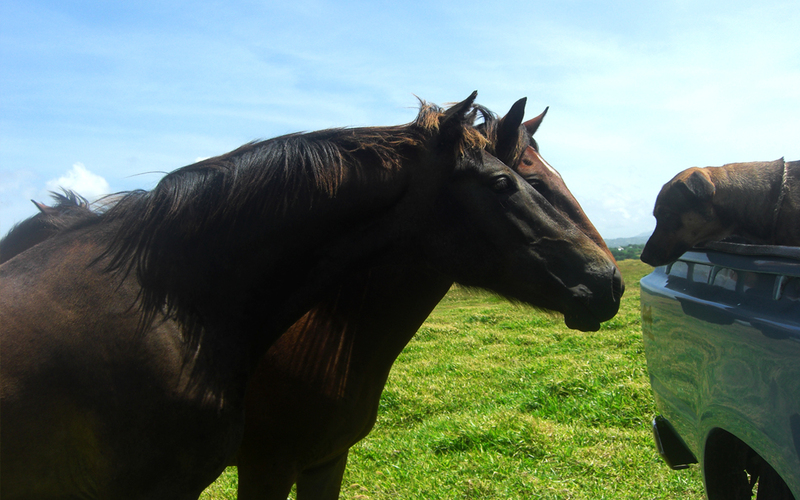 We are a team of passionate guides who enjoy being with people and sharing our love for St. Lucia and our horses. We love what we do! We provide well-trained horses, qualified trail guides and certified riding equipment for your enjoyment. Rest assured you will be booking with a company that values the safety of its clients. We are here to serve you and ensure you have a great time. We are flexible and open to providing a tour tailored for you. We have been awarded Certificate Of Excellence by TripAdvisor for the last 3 years. We are very fortunate to have so much open space and beautiful land to ride on. Our riders will never feel bundled up in a group tour. You truly feel connected to nature on our horseback tours. Perfect for beginners and intermediate riders or anyone looking to enjoy a peaceful horse ride. This tour is a combination of the hillside trails, nearby banana plantation, and our popular beach ride. This private ride is ideal for special occasions. Share an intimate adventure with your loved one. 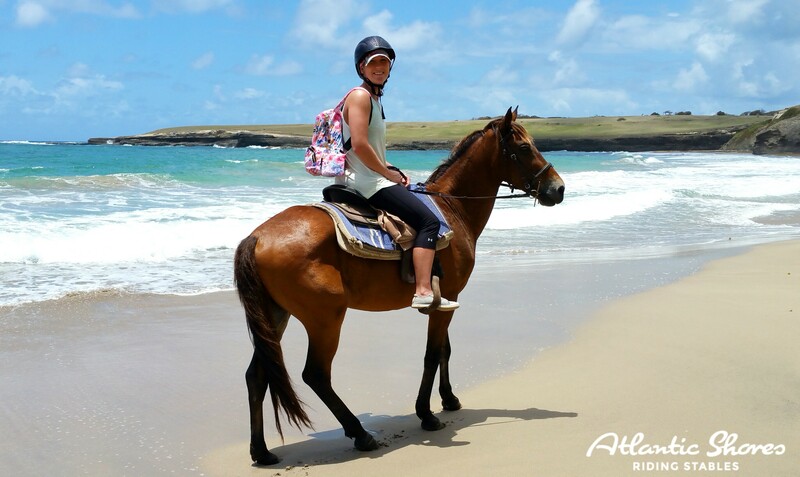 Explore the majestic beauty of the island like no other from atop a trusty horse at Atlantic Shores Riding Stables. 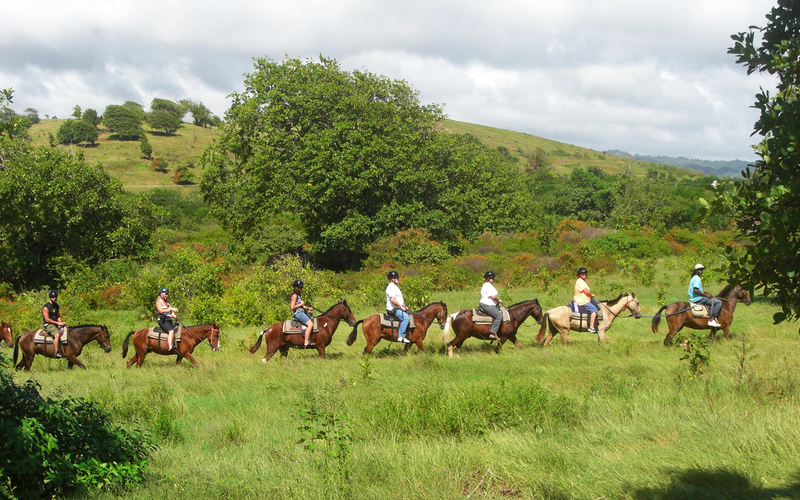 We are the only horse riding facility in St.Lucia offering such a wide variety of trails. 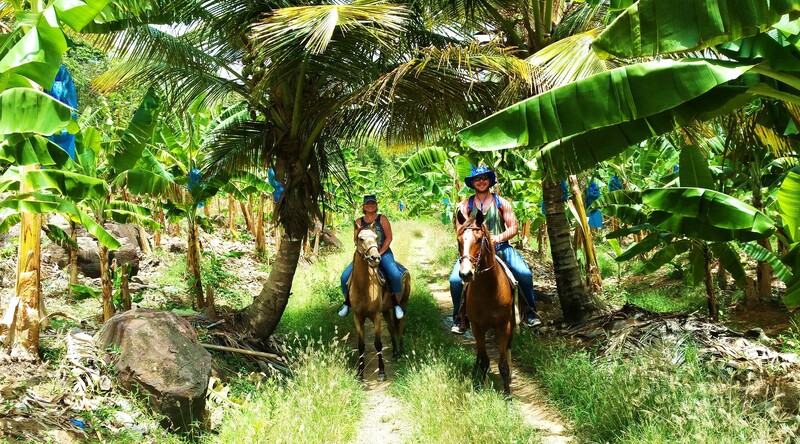 We are located in an area with over 450 acres of scenic hillside terrain, banana plantations, gentle meadows, and two beautiful beaches to ride on. Be prepared to be awed by the breathtaking landscape as the Atlantic Ocean winds blow through your hair. You may find yourself trotting through the ocean surf, cantering up the hill or walking leisurely as you soak up the tranquility of the moment. WINNER OF TRIPADVISOR’S CERTIFICATE OF EXCELLENCE AWARD FOR BEST SERVICE IN 2015, 2016, 2017, 2018 AS VOTED BY CUSTOMER REVIEWS.